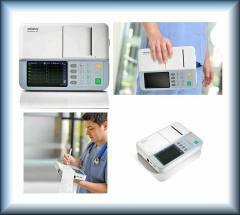 Heaco 600G is a modern six-channel electrocardiograph that enjoys popularity among the leading cardiologists. 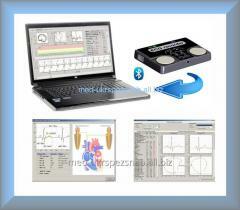 Is ideally suited for use in clinics with a big flow of patients. It differs in the convenient color touch seven-inch screen in which 12 assignments are synchronously reflected. 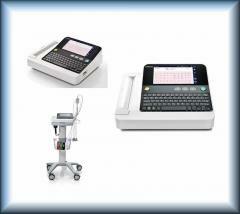 Contains the built-in thermal printer with high quality of the press, and the modern digital filter allows to display an accurate electrocardiogram a curve. 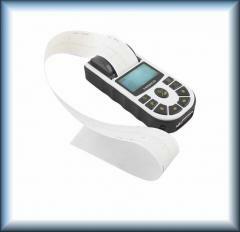 This device can write down up to 150 electrocardiograms in archive and print without stopping 90 minutes at completely charged battery, and also store more than 1000 these patients that is convenient for the analysis and statistics. 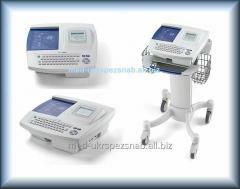 The electrocardiograph 600G includes a possibility of connection to the computer and the stationary printer. 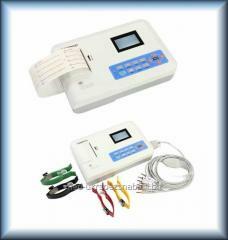 And upon termination of inspection of each patient the Heaco 600G electrocardiograph outputs the short diagnosis. 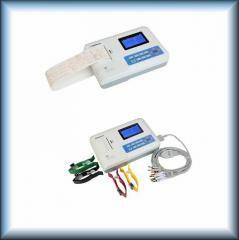 In this device there is a special port USB2.0 and the software for transfer of electrocardiograms on the computer for additional processing and storage at the database. 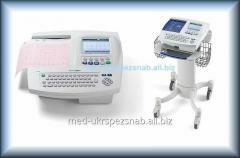 It is also possible to write down and display 12 electrocardiograms curves along with the computer and to print the registered data on A4 format paper by means of the personal computer. 12. Copy of compliance of UKRSEPRO. Press speed Automatic mode: 25 mm / with, 50 mm / page. Record mode: 25 mm / with, 50 mm / page. Manual mode: 5 mm / with, 6,25 mm / with, 10 mm / with, 12,5 mm / with, 25 mm / with, 50 mm / with, 100 mm / page. 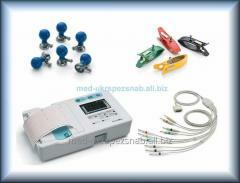 Unbelievable price on Electrocardiograph 6/12 channel Heaco ECG600G in Zaporozhe (Ukraine) company UKRSPECSNAB,OOO.